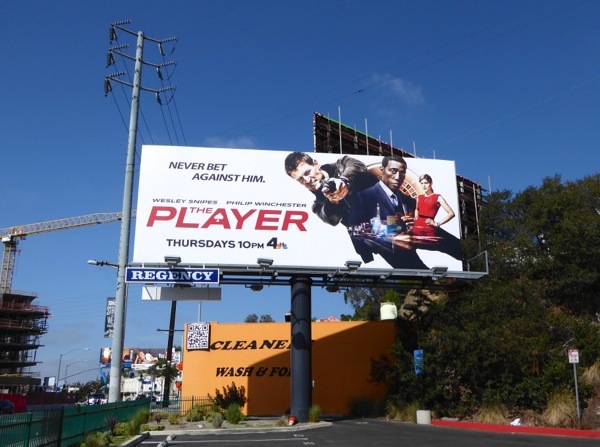 This Fall TV season not only can you find Sullivan Stapleton in NBC's amnesiac thriller Blindspot, but you can also find his Strike Back co-star, Philip Winchester, in The Player. 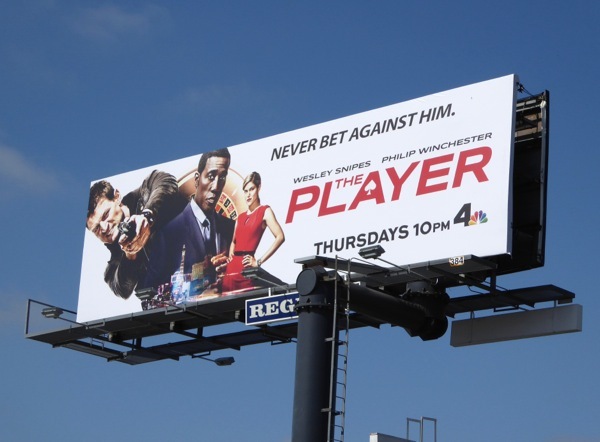 The Las Vegas set action thriller also boasts Wesley Snipes and Charity Wakefield as its stars, as the pit boss and dealer in a high stakes game, where wealthy individuals bet on Winchester's security expert with a military past, 'Alex Kane', stopping large-scale crimes from taking place. 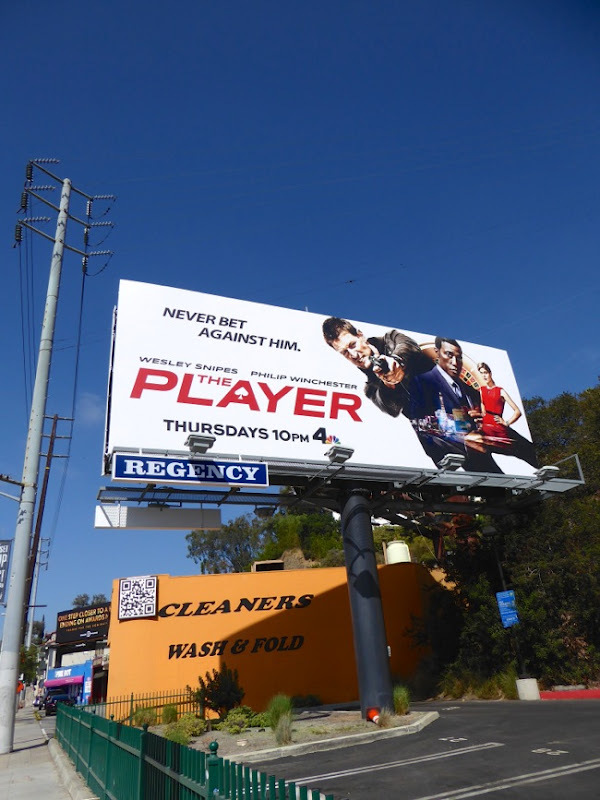 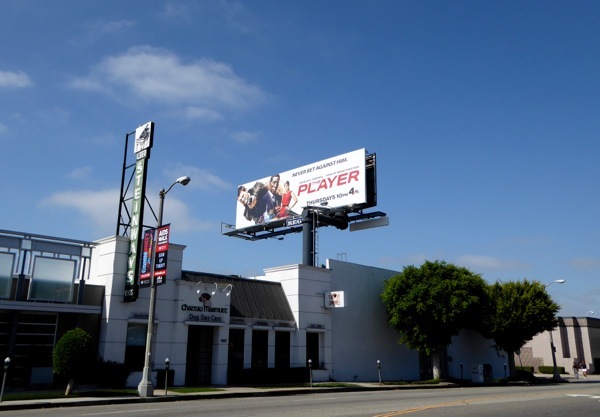 These action-packed series launch billboards for The Player channel everything from James Bond to the Mission: Impossible movies, and were first snapped along West Hollywood's Sunset Strip and Beverly Boulevard on August 23, then later along Santa Monica Boulevard in West L.A. on August 30, 2015. 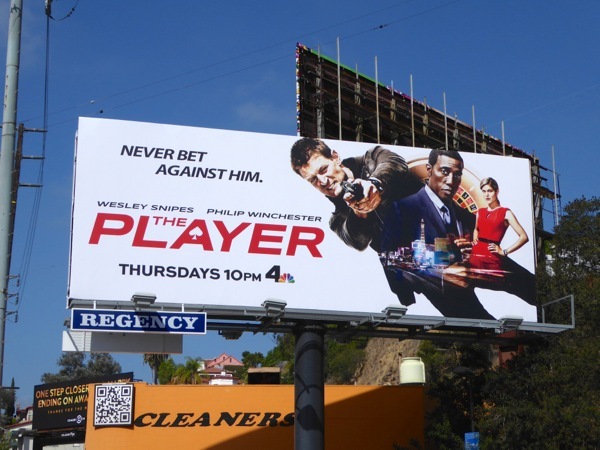 If you're a fan of Philip Winchester, be sure to also enjoy these billboards for Cinemax's Strike Back series. 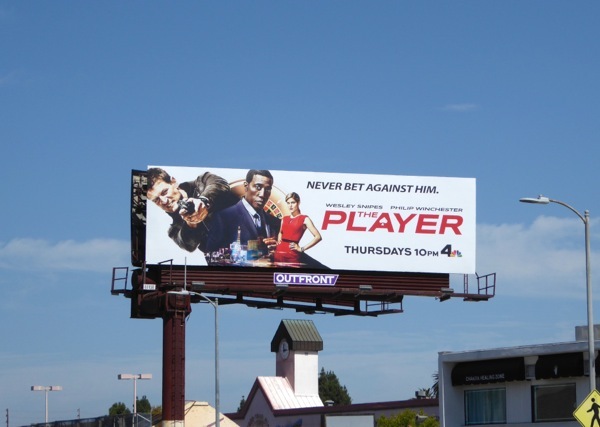 NBC are certainly betting on The Player this Fall, what do you think its odds of surviving the season are?